Home \ Saving Money \ EARLY Black Friday Deals! Since a lot of the early Black Friday Deals will be going live at the same time, I thought I would go old school and and put all of the important direct links to the different sales in one place for you guys. Just click on the link below to take you to the sale you want to see! Walmart’s Black Friday Sale online LIVE NOW and over on this page! 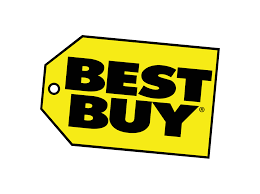 Best Buy’s Black Friday Sale is over on this page! 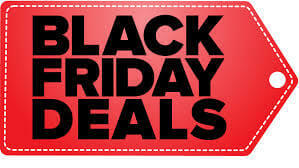 ALL Black Friday Deals should end up on this page! However, here are important pages to note as well. Hoping it makes it a little easier for you guys to find! Black Friday Deals Week on Amazon Devices: Things like Kindle, Echo, Alexa & more! Amazon Deals of the Day: These change daily! So bookmark this page or check it each day to see what the crazy deals are for that day! ToysRus Promoted DoorBuster Deals: All of these are In-store only. So they are not available today online. However, other stores should have these products online as part of their early Black Friday Sales. So don’t freak out! This started a couple days ago! So if you missed that info, you can head over right now and shop online. Use code NOVSAVE15 to get an extra 15% off sitewide. Plus, for every $50 you spend, you’ll get $15 back in Kohl’s Cash. And you’ll have it in time to use for Cyber Monday! Shipping is free once you hit $50. 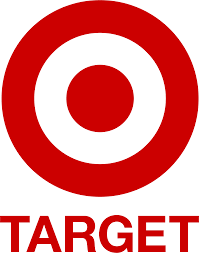 Target’s Black Friday Sale is over on this page! #1: Check out quickly. Just because it is in your cart doesn’t mean that you get it. You must check out completely with the item. Things sell out fast online! #2: If the online Black Friday Sale hasn’t started yet, it should be starting very, very late tonight, November 23rd and into the early morning of November 24th. If you are going to stay up late, tonight is the night to do that. #3: If you don’t get the item you want, check back through the links above later on to see if they’ve added more in-stock. If it doesn’t come back in-stock, Amazon is one of the places to look and see if they have it instead. #4: Doorbusters can be available in-store and/or online. If it is only available in-store, the Black Friday ad will say so. But note that online doorbuster deals may be limited. Again, that is when you will want to check a store like Amazon for in-stock options. MAKE SURE to follow me on social media for continual updates on Black Friday info. I only put together a blog post because we had so many Black Friday deals going live at one time and no way to link you to all of them. Hope this helps! The BEST Birthday Freebies: Free FOOD, FREE Makeup, FREE Toys and More!